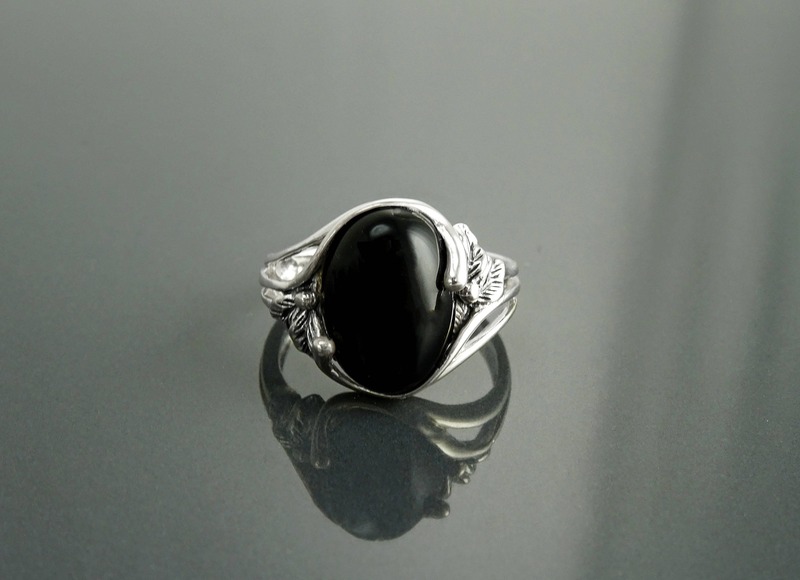 This Cute Ring, features an intricate Boho Pattern around the Stone, which is a Real Black Onyx Gemstone in a Wonderful Dark Color. 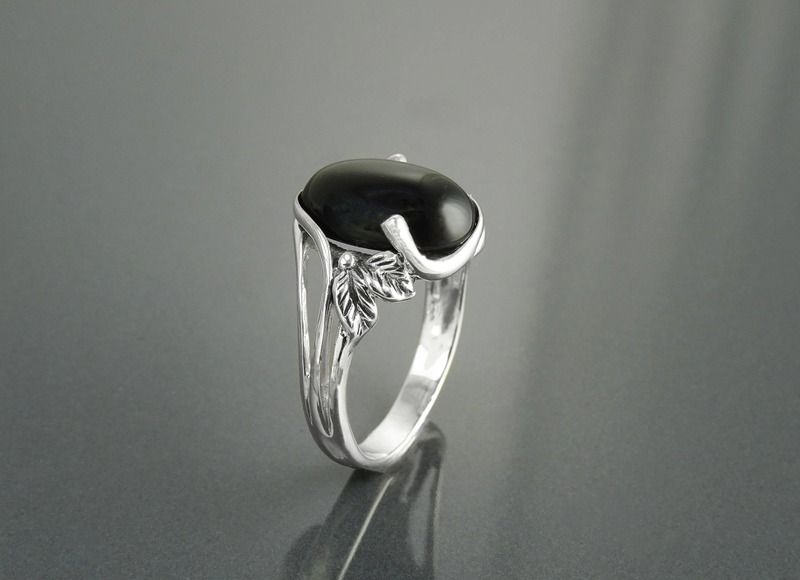 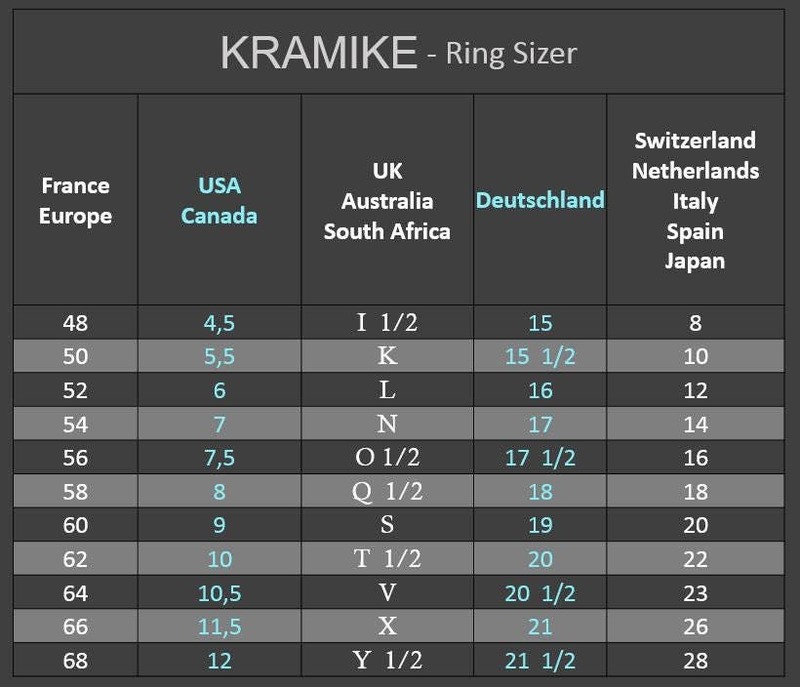 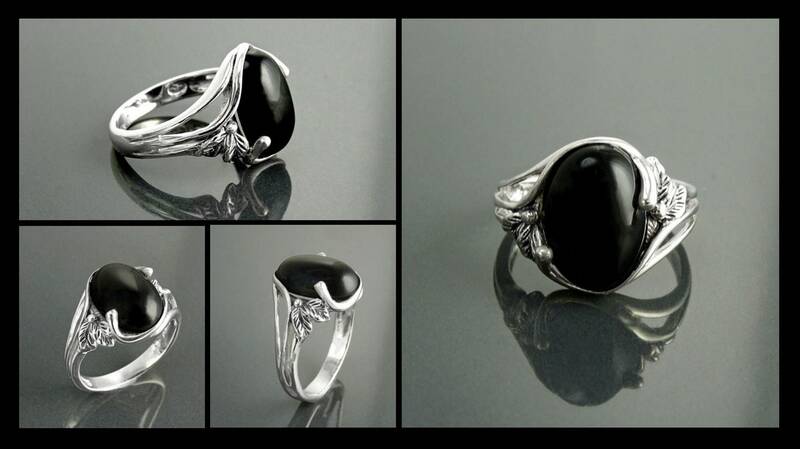 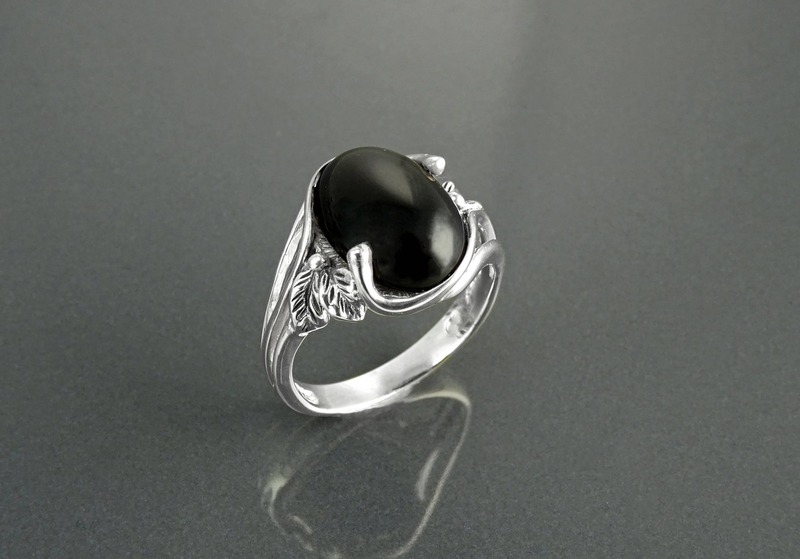 Ring features a 1.5 cm length and 1.0 cm wide Onyx. 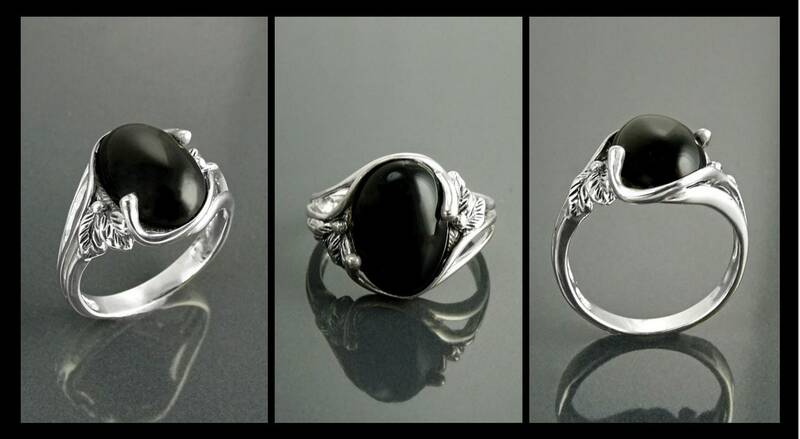 Love the detailed leaves...quality silver! 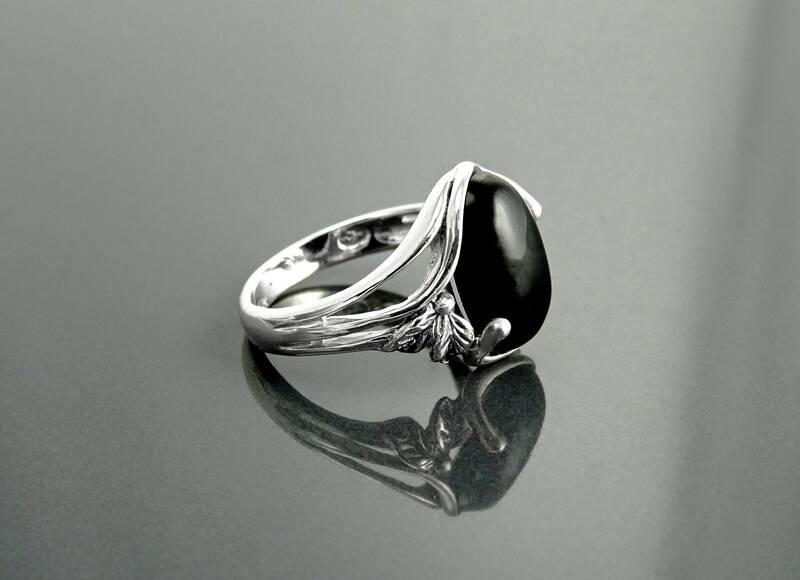 The onyx has a small barely visible scratch. 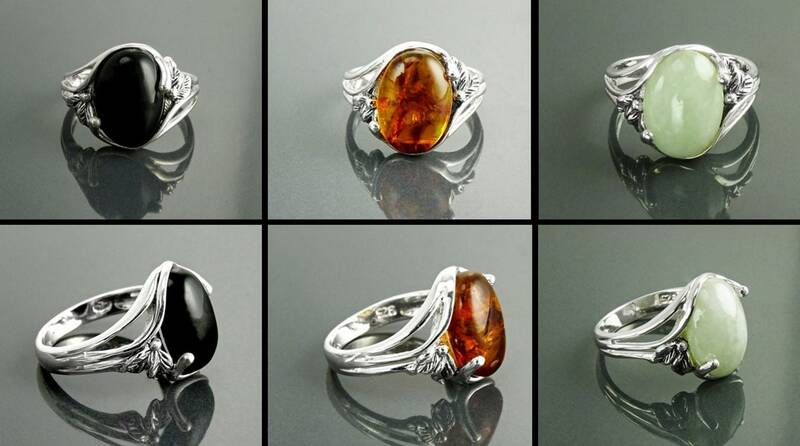 The silver mount is beautiful, is the reason I keep it. 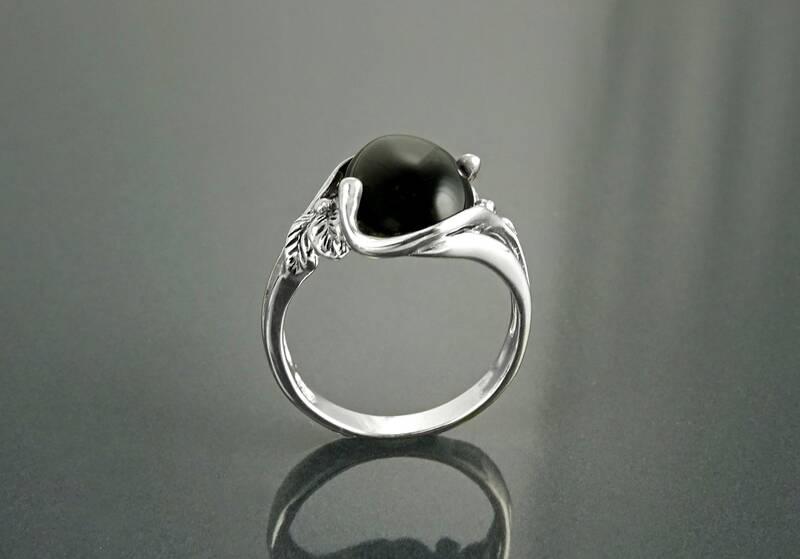 Comme tous les bijoux de Pauline, cette bague est unique ! 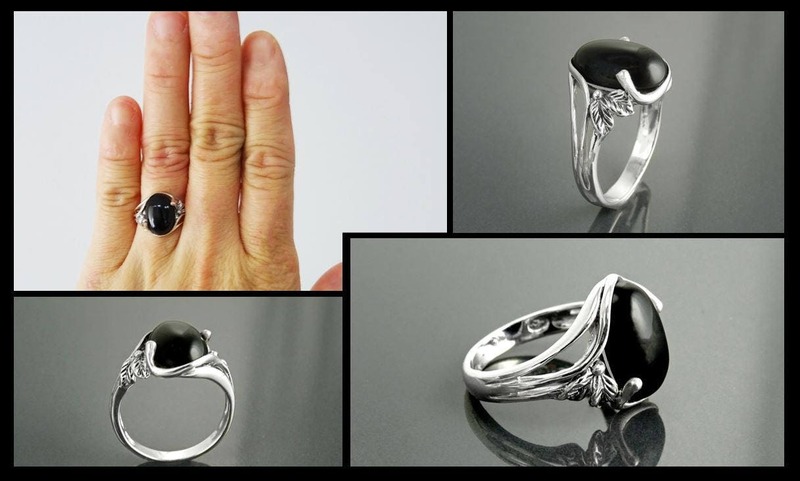 Précision, classe, chic : c'est décidément une bague hors du commun, et j'aime !